History Day alternates at the state contest, placing them in a position to possibly represent Iowa at the national level. The alternate team of Ellen Podhajsky, Hannah Stone, and Susie Pratt would travel to University of Maryland at College Park June 12-16 if the national qualifying team was unable to attend. Monday night the Board approved the out of state trip. 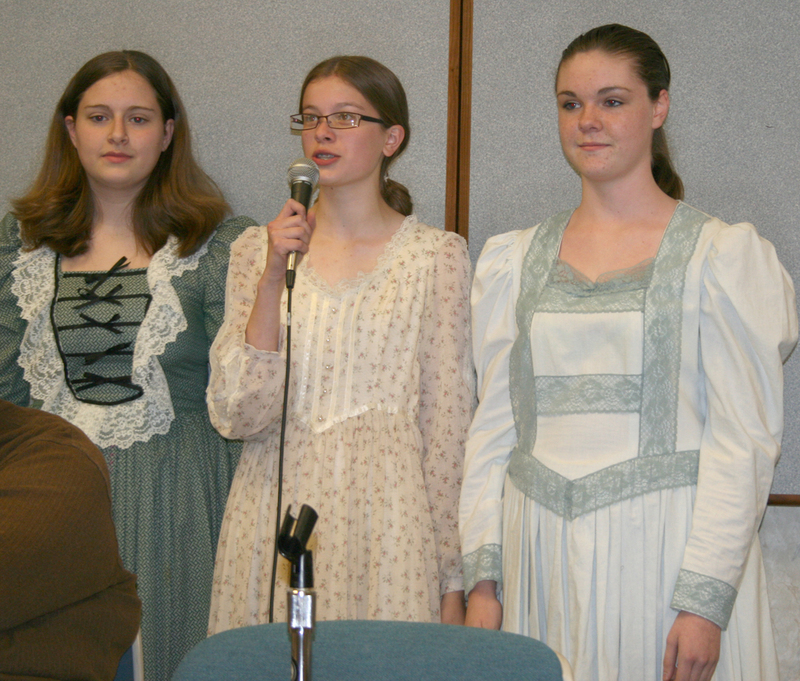 Lacinda Gillen, Miller Extended Learning Program teacher, said the girls worked tirelessly on research and writing to create a 10-minute presentation on the role of women in the Civil War. Monday night they performed the introduction for the Board. The Board approved a total package increase of 3 percent for the Marshalltown Education Association Monday night. The package includes $190 on the BA base salary and a $500 one-time supplemental payment (from a Federal grant) for two added professional development days added to the 2011-2012 calendar. Next year a new teacher will be paid a minimum salary of $34,261, a $221 increase over 2010-2011. Challenging high-achieving students with rigorous, engaging learning opportunities is the goal of an acceleration policy presented to the Board Monday night. District Extended Learning Program teachers Susan Fritzell, Lacinda Gillen, Karen Roessler and Marcia Plett told the Board about the policy developed to create a standard practice for accelerating students showing advanced knowledge beyond their chronological grade level. Acceleration can occur for an entire grade level or just for certain courses, the teachers said, and the policy will allow teachers and parents to come together to decide what is best for these students. “All students need to be able to know and understand what it takes to accelerate,” said Lisa Glenn, director of special services. CPMI of Des Moines will serve as project manager for the renovation, refurbishing and expansion of the Marshalltown High School Roundhouse. CPMI was recommended by the Design Advisory Committee, which includes Board members and administration. The Committee said they talked to people who have worked with the company before and they received glowing reviews. CPMI was project manager for the Carnegie Library project in downtown Marshalltown. The City and the sub-contractors who worked with CPMI on the project told Superintendent Marvin Wade they had a very positive experience. Welker Construction of Marshalltown will complete the security and life safety upgrades at Miller Middle School. The project includes new security doors, frames and hardware; new hardware on existing doors and new emergency exit lighting and lighted exit signs. The project will cost $35,795. Freshman Abby Snyder will represent Marshalltown High School at the National Forensics Tournament June 13-18, 2011, in Dallas, Texas. Snyder earned the privilege Saturday, April 2, at the East Iowa Forensic District Tournament in Iowa City, where she was voted the top debater in the Legislative Debate. MHS senior James Lindgren also qualified for the tournament, but will not attend as he was recently selected for a prestigious World Food Prize internship. The Board approved allowing Abby to travel out of state for the event. This evening, as part of School Board Recognition Week, Director of Communications Jason Staker gave each board member a certificate of recognition in appreciation of their service to the students, parents and staff of MCSD. Serving on the Board requires each board member to work hundreds of hours every year without pay; to attend many meetings and school functions; to study a large number of agendas, proposals and reports; to make difficult decisions; and to have ongoing discussions with members of our community. I appreciate the vision, accountability and support provided by the seven members of the Marshalltown Community School District Board of Education: President Kay Beach, Vice President Jay Merryman, and Directors Richard Hessenius, Scott Lothe, Anne Paullus, Larry Schrum and Jennifer Wilson. I hope others will join me in thanking our current and former board members for their valuable contribution to the children and youth of our community. I also want to remind everyone about the Marshalltown Education Association/Board Recognition Tea that will be held from 4:00-6:00 pm on Wednesday, May 18. I hope you will join us at Dejardin Hall on the Marshalltown Community College campus to honor retirees, MEA scholarship winners, the Friend of Education Recipient, and staff with 35 and 25 years of service. The travel requests which the Board received tonight were further demonstrations of the outstanding work that some of our district’s students are doing. Three Miller 8th graders (Ellen Podhajsky, Hannah Stone, and Susie Pratt) enacted a portion of the presentation which resulted in their being chosen as Iowa’s alternate entry in the National History Day finals at the University of Maryland in June. These young ladies were poised, articulate, and authoritative in the delivery of their findings regarding “The Role of Women in the Civil War.” And we also met Abby Snyder, an MHS freshman, who won the right to represent Iowa in the category of Legislative Debate in national forensics competition in Dallas this summer. I would not want to get in an argument with this young lady! Congratulations also to senior James Lindgren, who won the state forensics competition in Extemporaneous Speaking. And thanks to the coaches and sponsors for nurturing the exceptional gifts of these fine young people. Janet Smith, Lenihan food service, effective June 3, 2011. Sarah Albaugh, Hoglan Preschool, effective at the close of the 2010-2011 school year. Connie Gardalen, MHS Learning Supports Specialist, effective June 30, 2011. Cindy Jones, MHS assistant girls basketball coach, effective April 29, 2011. Beth McMahon, Woodbury paraeducator, effective June 6, 2011. Salaries to be determined by the 2010-2011 salary schedule. Sierra Herring, MHS assistant girls basketball coach. Erica Malloy, MHS biology teacher. Ms. Malloy graduated from Iowa State in 2004 with a BS degree and received her post-baccalaureate certification in secondary education from Buena Vista University in 2010. She completed her student teaching in the West Marshall School District. Start date: Aug. 16, 2011. Salary: BA Step 5. Bruce Vopava, assistant seventh grade volleyball coach. 903.2 Public Examination of School District Records, initial review (new policy), helps clarify what records are confidential, specifically about security, emergency preparedness, etc. Aiddy Phomvisay will be the next principal at Marshalltown High School. 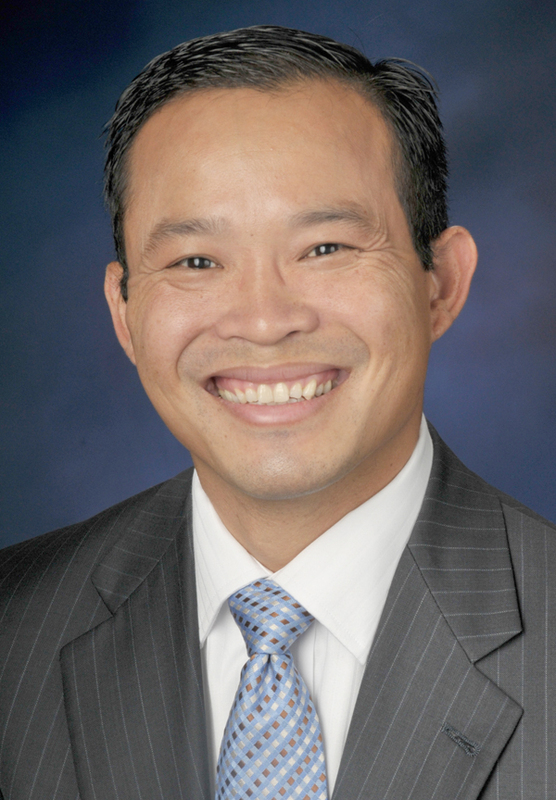 Mr. Phomvisay is currently associate principal at Valley High School in West Des Moines, a position he has held since 2005. Prior to joining the administrative team at Valley, he taught ninth grade world studies and tenth grade U.S. history at Ames High School, as well as taught in an English Language Learner Sheltered Classroom. In Ames Mr. Phomvisay held many leadership roles in various training and curriculum writing teams. He has also taught classes at Drake University and Iowa State University. Mr. Phomvisay holds a Bachelor of Science degree from Iowa State University, where he also earned a Master of Science in Education degree in Curriculum and Instruction and Education Administration. He attended the James Madison Senior Fellowship Constitution Institute at Georgetown University and received his Certificate of Advance Studies (Superintendent License) in 2010. He is currently working toward a PhD in Educational Leadership and Policy Studies. Mr. Phomvisay will begin as principal July 1, 2011. District third and fourth grade students showed increased proficiency in math on the Iowa Test of Basic Skills this year. Dr. Susan Pecinovsky, associate superintendent for student achievement, told the Board the increases reflected the successful implementation of the new K-6 EnVisions Math curriculum. Pecinovsky noted there is still work to be done to improve reading comprehension scores and continue growth in math. She told the Board of several areas of focus for 2011-2012 that will improve student achievement, including common unit design (ensuring consistency across content areas), a balanced K-12 literacy framework and the use of Positive Behavior Intervention and Supports to create an inviting and safe learning environment. Three different Summer School programs will run June 10-29 at Marshalltown High School, each focused on helping a specific group of students succeed. One program will be an English Academy teaching students with limited or no English proficiency reading, writing, listening and speaking skills. This includes a real world experience component with students interacting in businesses, ordering in restaurants, etc. The second is a credit and component recovery program to help students who previously failed a course learn the materials and earn credit without retaking the same course during the regular school year. The third is an eighth grade transition program to help identified students entering ninth grade this fall prepare for success in high school. Students will receive academic interventions focused at removing barriers to graduation. Sessions will also include some team-building activities, health and fitness education and educational field trips. The students will remain in core classes together during the school year and the Learning Supports Specialists will track their progress. MHS Associate Principal Deb Holsapple and Special Services Director Lisa Glenn told the Board this is a pilot and parents will be able to choose whether or not their child is part of the program. Due to construction at MHS, Summer School classes will be held at Miller Middle School. Tonight’s meeting leaves me smiling with hope! For nearly an hour we heard really positive messages about good things that have been happening in the district. At the very beginning of the meeting we were introduced to Aiddy Phomvisay, the incoming principal at MHS who spoke briefly and eloquently about his desire to make a difference for our high school students. Then we had a report from two members of the MHS Math Team which will be a finalist in the Greater Plains Math League Regional Championship in Kansas City later this month—young people who excel at solving complex math problems just for the fun of it! And then Dr. Pecinovsky reported on ITBS and ITED scores. Her interpretation gave us many reasons to believe that higher student achievement is in sight, the result of hundreds of hours of work done this year to tighten the entire K-12 curriculum and home in on strategies that will help our already well-prepared teachers work smarter and with even more focus, ensuring all of our students access to a rigorous curriculum. We also heard about a Summer School opportunity for MHS students who have been identified as needing either credit recovery to get them on track for future graduation or some additional intensive work on English language skills—also including a session for at-risk 8th graders transitioning into high school. The future IS bright for our students! This evening, by approving two additional teacher contract days for the 2011-2012 school year, the Board of Education made it possible for MCSD staff to participate in more professional development opportunities without pulling teachers out of the classroom. The suggestion to use Federal Education Jobs money to fund these two days was a joint proposal of the Marshalltown Education Association (MEA) and district administrators. Lisa Koester, Director of Human Resources and Student Issues, will be providing more specific information about tonight’s decision before the end of our current school year. I also want to remind people of the MEA/Board Recognition Tea that will be held from 4:00-6:00 pm on Wednesday, May 18 in Dejardin Hall at the Marshalltown Community College campus. Patricia McColley, Bus Monitor, effective June 3, 2011, has been employed with the district for 11 years. Kenneth Penrod, MHS custodian, effective July 6, 2011, has been employed with the district for 40 years. Meagan Dobbs, Fisher & Woodbury ELL teacher, effective at the close of the 2010-2011 school year. Alexandria Erickson, MHS paraeducator, effective May 6, 2011. Val Hunt, National Honor Society advisor, effective at the close of the 2010-2011 school year or until a suitable replacement is found. Brian McCormick, district network specialist, effective May 6, 2011. Samantha Slocum, MHS head cheerleading coach, effective April 19, 2011. Lisa Frauenholtz, Hoglan Grade 4. Ms. Frauenholtz graduated from the University of Iowa in 2010 with a BA degree. She completed her student teaching assignment in the West Des Moines School District. Start date: Aug. 16, 2011. Salary: BA Step 5 (to be determined by the 2011-2012 salary schedule). Shawn Garrington, District Server and Security Specialist. Mr. Garrington graduated from Strayer University in 2005 with a BS degree. He has 11 years of experience at ITA Group, Inc., Principal Financial Group, Kaplan Higher Education and Nebraska College of Business as Network Analyst, Systems Analyst, Regional Field Manager and Network Manager. Jennifer Heithoff, Woodbury Learning Supports Specialist. Ms. Heithoff graduated from Buena Vista University in 2009 with a BA degree. She has been employed as Volunteer Coordinator/Project Organizer at Mid-Iowa Community Action. Start date: May 12, 2011. Salary: $35,000/year (prorated for 35 days – $4711). Brenda Mathews, Hoglan Grade 1. Ms. Mathews graduated from the University of Northern Iowa in 2000 with a BA degree. She has 8 1/2 years of teaching experience in San Antonio and Atascosa, Texas, and Odgen, Iowa. Start date: Aug. 16, 2011. Salary: BA Step 9 (to be determined by the 2011-2012 salary schedule). Renee Mathews, MHS Nurse. Ms. Mathews graduated from Drake University in 2008 with a Masters in Public Administration. She has been employed for one year at the Iowa Dept. of Public Health and has nine years of previous experience as a school nurse in Marshalltown Schools. Start date: Aug. 16, 2011. Salary: MA Step 15 (to be determined by the 2011-2012 salary schedule). Lori Ruth, bus driver. Start date: April 13, 2011. Salary: $1825.25 (annual). Scott Smith, MHS head boys basketball coach. Salary to be determined by the 2011-2012 salary schedule. Nicole Moore, Franklin food service. Start date: May 2, 2011. Salary: $10.11/hour, 3.75 hours/day.